Thanksgiving dinner comes with a lot to orchestrate — turkey, stuffing, family, and everything else. There are high stakes, and while science can’t necessarily solve awkward family conversation about politics at the dinner table, there are scientific ways to help ensure you don’t have to deal with a dry turkey. Now that would be a true disaster. Understanding a few simple chemical processes can actually make your Thanksgiving meal tastier and healthier. A Bytesize Science video from the American Chemical Society tipped us off about some of these hints, which we’ve supplemented with additional information. 1. Brining your turkey before cooking it means the meat will be more moist and taste better. You’ve got two brining options here. A classic wet brine, as described by Bytesize Science, involves soaking the turkey in cold salt water. During that time salt seeps into the turkey, which helps change the proteins inside so that they can hold more water. This works, but some say it leaves the turkey a little too waterlogged — plus, it’s a mess. Business Insider’s resident food expert recommends a dry brine instead, which involves covering the dry turkey in salt overnight. Salting the outside of the bird draws moisture out at first, but as that salt breaks down the proteins in the meat, it reabsorbs those juices, leaving you with a moist, flavorful Thanksgiving meal. 2. Get the most antioxidants out of your cranberry sauce. We know that the preference of cranberry sauce in a can versus homemade cranberry sauce is generally made based on tradition, not what’s healthier. But if you are interested in getting the most out of your antioxidant-packed cranberries, we’d recommend leaving them as close to their natural form as possible. The antioxidant level in foods decreases when they are crushed or cooked, so the more that’s done to them, the fewer the health benefits that will be left. The good news? Even dried or cooked cranberries still have far more antioxidants than most other foods. 3. Chemistry can make fake turkey feel more like a real bird. Factory farming got you down? If you’ve decided to opt for a vegetarian version of what was almost America’s national bird, there are steps you can take to give it a more real feel. If your fake turkey uses seitan, a meat substitute made of the wheat protein gluten, that “wheat meat” is highly sensitive to acid levels. Playing with the levels of acid can change the texture of your fake bird. So you can use a mixture of acidic soy sauce and basic vegetable stock to come up with a meat-like guilt-free alternative. 4. Crushing garlic and letting it sit for a while before cooking will maximise its health benefits. 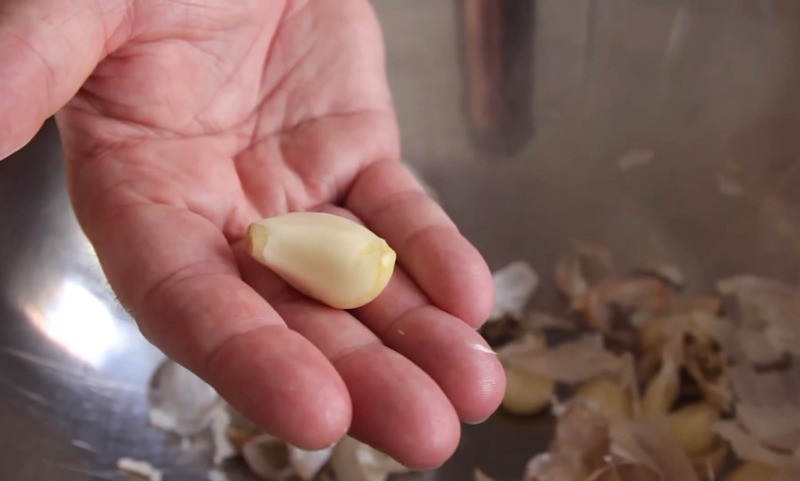 Garlic goes with just about everything except dessert on the Thanksgiving menu. And this ancient cooking staple may have important benefits for your heart, too. But there’s trick for getting the most out of this flavorful bulb, according to a study in the Journal of Agricultural and Food Chemistry. After crushing your garlic, let it sit for 10 minutes. This releases an enzyme that maximizes its healing power. Kelly Dickerson contributed to an earlier version of this post.